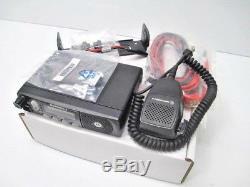 UP FOR SALE IS A USED MOTOROLA PM400 VHF 45 WATT REMOTE MOUNT MOBILE RADIO. THE MODEL # IS: AAM50KQF9AA3AN. 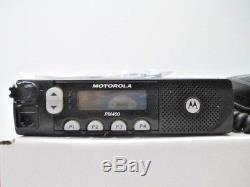 THESE ARE 64-CHANNEL RADIOS WITH A FREQUENCY RANGE OF 146 - 174 MHz. 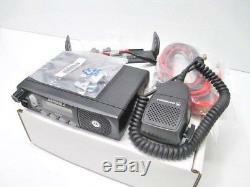 THESE RADIOS WERE USED IN OUR OWN FLEET OF VEHICLES AND HAVE BEEN BENCH TESTED FOR PROPER INPUT AND OUTPUT. 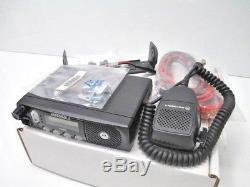 THIS VHF STYLE OF RADIO GIVES YOU THE PROFESSIONAL LOOK ALONG WITH EASY OPERATION. 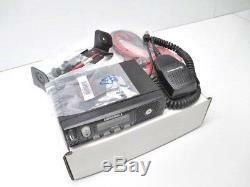 THIS IS A USED RADIO, BRACKET, MIC, ALONG WITH A BRAND NEW POWER CORD, AND MIC CLIP. PROGRAMMING IS THE BUYERS RESPOSIBILITY. PLEASE VIEW ALL PICS PROVIDED TO ENSURE THIS RADIO WILL SUIT YOUR NEEDS. 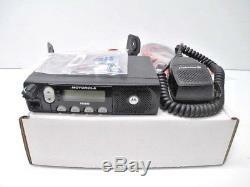 LISTED BELOW IS WHAT IS INCLUDED WITH THIS MOTOROLA RADIO. 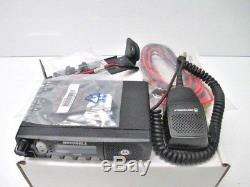 (1) USED PM400 VHF BASE UNIT. 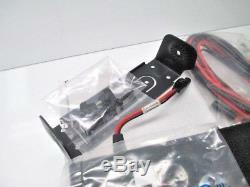 (1) USED MOUNTING BRACKET WITH 2 SIDE WING SCREWS AND HARDWARE. (1) NEW MOTOROLA POWER CABLE. 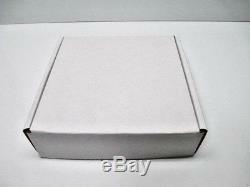 WE WILL TRY OUR BEST TO GIVE YOU AN ACCURATE AND HONEST DESCRIPTION OF THE ITEMS LISTING THE GOODS AND THE BADS. LET THE PICTURES PROVIDED BE YOUR GUIDE. 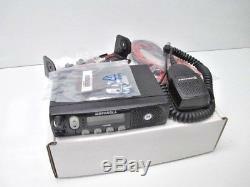 The item "MOTOROLA PM400 AAM50KQF9AA3AN VHF 64 CH 45W 146-174 MHz USED W / NEW ACCESSORIES" is in sale since Wednesday, November 15, 2017. This item is in the category "Business & Industrial\Facility Maintenance & Safety\Surveillance & Alarm Equipment\Two-Way Radios". 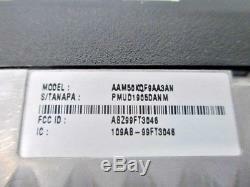 The seller is "mparts2009" and is located in Brownsville, Wisconsin.